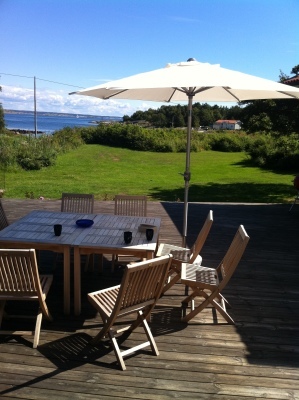 Holiday Home Sweden, Göteborg, Vrångö: "Vrångö skärgård"
holiday house with great view close to the beach! Enjoy a holiday by the sea! 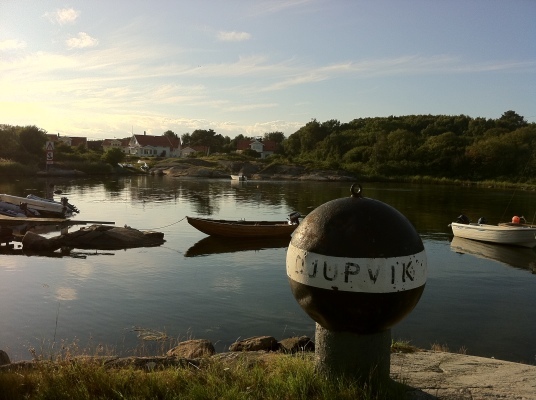 Vrångö is the southernmost inhabited island in the Gothenburg skerry archipelago and maybe just your next vacation destination. You stay in this cozy house with large secluded terrace at the forest, directly at the sea. The house (built in 2001) has two floors and includes 2 double bedrooms, 1 single bedroom, a childrens’ room, as well as shower and toilet on both floors. Single room is located on the ground floor adjacent to the kitchen. Living-rooms with TV and DVD are on both floors. The kitchen is well equipped and barbecue facilities are available. 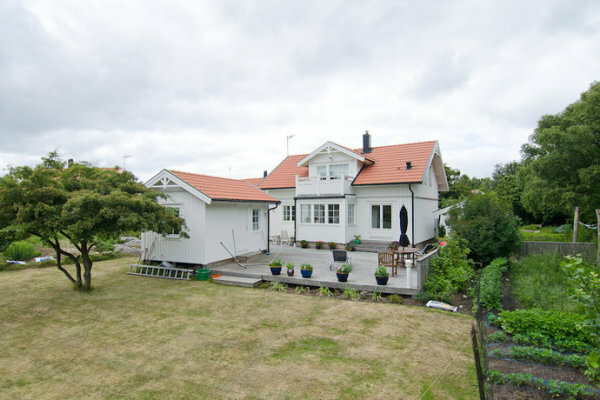 The house is in very good condition with hardwood floors in all rooms, new sofas, beds and armchairs. The island has a range consisting of grocery store, as well as fish and crayfish traders in the harbor within 500 meters. 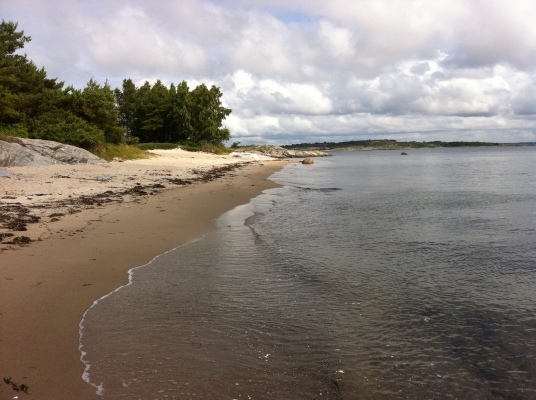 On the south of Vrångö is another nature reserve with walking trail and swimming facilities. Jetty and small sandy beach can be reached within 150 meters from the house and about 400 meters away you will find a string of smaller beach bays along the nature trail. Vrångö is a car-free island. A Fast Ferry goes from Saltholmen and takes 20-30 minutes. 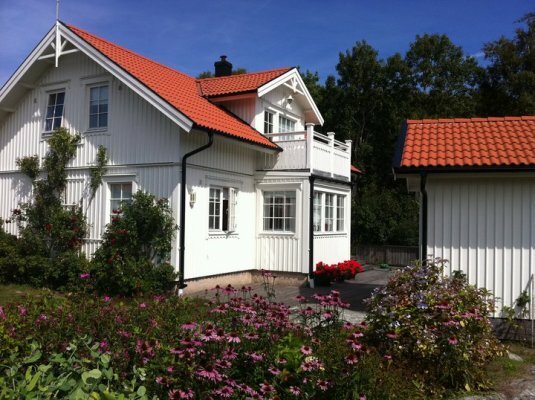 Bed linen/towelBed linen/towels can be rented for 100 SEK/pers., Allergic friendly, Senior friendly, Toaster, Child friendly, CD player, Porch, Wood stove, Final cleanupFinal cleaning can be ordered for 1900 SEK., Safe, DepositThe landlord takes a deposit of 500 SEK.